During the event, the UN JIU Inspector Dr. Petru Dumitriu, coordinator of the project entitled “United Nations -private sector partnership arrangements in the context of the 2030 Agenda for Sustainable Development” will share the conclusions of the review recently completed by JIU. He will invite the views from businesses on ways to strengthen to partnership between UN and the private sector. 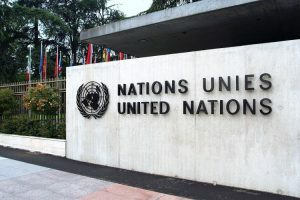 Private sectors across the world will learn how to become engaged with the UN system and explore the opportunities to participate in the 16th International Conference of the World Association of Sustainable Development, co-organized and hosted by the United Nations Joint Inspection Unit (JIU), Geneva, Palais de Nations, 10-12 April 2018. The discussion will also include the role of Diaspora in PPPs for the implementation of the 2030 agenda for sustainable development.